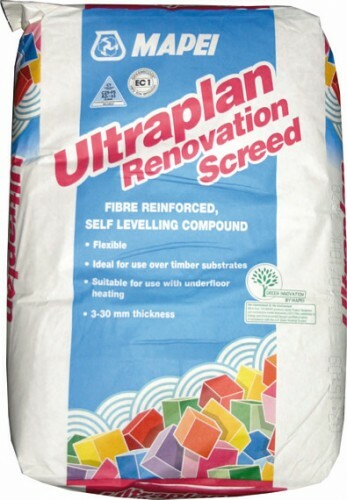 Fibre reinforced self-levelling compound designed for the renovation/refurbishment of existing floor substrates. For use in both commercial and domestic situations. Can be used from 3-40mm on concrete, screed, stone, ceramic, timber (plywood, chipboard, T&G floorboards). Suitable for use with underfloor heating and for encapsulating electric cable undertile heating systems. COVERAGE: approx. 6m2 at 3mm thickness.